This is one of four reviews that I wrote for the Globe and Mail this year. It was a big step up from being a book blogger, and more than once, I wondered if I was up to the challenge. Some of you may also know that I am now the Books Editor at Montreal's Rover Arts, an online arts review. This is a volunteer position for a few hours a week to hone my editing skills. I also have a day job. I'm a language professional, which is both demanding and rewarding, yet my blog is still my first love. I'd like to thank you, my readers, for your support. I've just completed my fifth year of blogging. 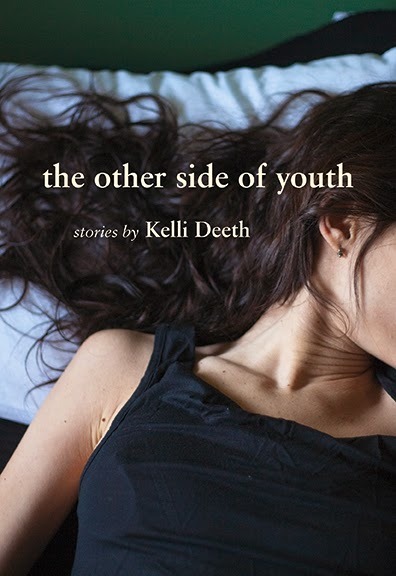 The Other Side of Youth, by Kelli Deeth, Arsenal Pulp Press, appearing in the Globe and Mail on November 29. More than a decade has passed since the release of Kelli Deeth’s critically acclaimed The Girl Without Anyone. Set in a middle-class Toronto suburb, the collectio n of connected stories followed Leah, a young teen of recently divorced parents who are too self-involved to notice their daughter’s need for attention. After dropping out of school, Leah engages in high-risk behaviour, seeking love in all the wrong places. This highly realistic collection showcased Deeth’s ability to write taut, compelling fiction about someone as familiar as the girl at the mall, or the girl next door. Deeth’s latest collection of short stories, The Other Side of Youth, is far more ambitious and even more intense. Set entirely in and around Toronto, the stories focus on life-changing events, serving up highly plausible yet often unsettling outcomes–the other side of personal issues that often go unseen. The female protagonists in the 11 tales range in age from their early teens to their late thirties. Each struggles with the life-choices she has made and their inherent consequences. The Other Side of Youth is a series of finely honed short stories, the kind that linger in the mind well after the book is finished. The extremely rich subject-matter and the author’s ability to write satisfying endings could well be the reasons for this. Deeth is a great writer of short fiction, and The Other Side of Youth is the best collection of short stories I have read in recent memory. It was well worth the 12-year wait. My other reviews in the Globe and Mail. : The Other Side of Youth by Kelli DeethTweet this!